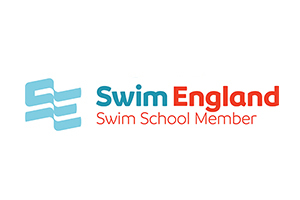 EMSA – The East Midlands Swimming Academy was established in 1998, by Sally Parkin. Sally has been involved in swimming from a very young age, and has competed at both regional and national levels for swimming and lifesaving. 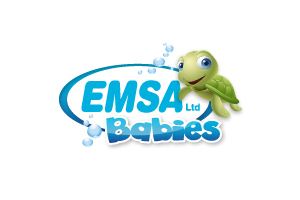 EMSA offers swimming lessons in Derby, Castle Donington, Ripley Nottingham, Eastwood, Ravenshead, Alfreton, West Bridgford, and Chesterfield for adult and child swimming lessons. 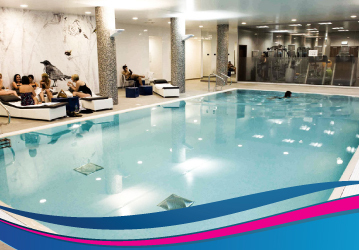 Learn to swim in one of our private swimming pools. Elissa had been attending swim classes elsewhere since she was 3 months old and by the time she was 3.5 yrs she was very close to swimming. But she needed to put her head in the water to enable her to swim properly and despite me trying to encourage this she refused. For some reason children don’t listen to their parents! 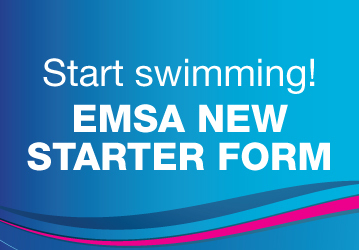 On the first lesson at EMSA she had her head in the water and by the 2nd lesson she was able to swim a small distance unaided. From then on she has improved week on week. The fact that the instructors are in the water with the children and the groups are small makes the lessons so much more effective.I would definitely recommend EMSA to anyone. I am thrilled with how well Caris has done at her lessons at EMSA! After we came back from holiday and she had built up her water confidence, I decided to enrol Caris as her Mum had also learnt to swim with EMSA at Butterley Grange after years of being terrified of water….and within a matter of a few weeks Caris is jumping in without armbands, swimming underwater and last week did a length of the pool on her back! 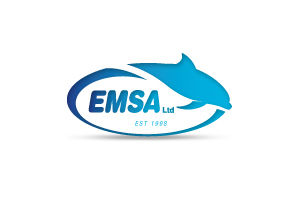 She is like a little mermaid, and I would happily recommend EMSA as the lessons are much more beneficial than the lessons which are offered at Leisure Centres due to the smaller numbers in a group or one to one sessions depending on what you decide to choose. 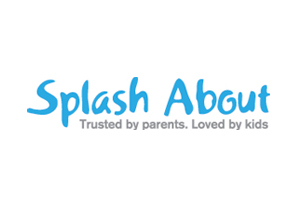 To finally find a swimming club that care about the children they instruct is amazing. The teachers are warm, kind and friendly and full of praise for the group, and individuals that they teach. My son has only been swimming for the last 4 weeks and his confidence in the water is astonishing he has become so confident. I also think that having an instructor in the pool with them is a major factor in that, the children loose all fear and genuinely feel safe. Thanks to all at EMSA! My children have been coming to EMSA at butterley grange for nearly a year i think and are doing brilliantly they really enjoy it and their teachers are fantastic. One of the kids decided to have a paddy a couple if times but stacey just got out the pool came up to him n managed to just walk him into the pool as if paddy hadn’t happened. I like how they get a good 25 mins lesson then for last 5 mins they introduce play into it so theres jumping in and going under water definatly worth the money im glad i found out about EMSA! I’d really like to thank you all for your hard work. Harry has come on so well since having his 1 to 1 lessons with Liz, not only is he water confident now, he’s becoming more confident socially, a huge step forward for him with his autism! Keep up the good work. My shy five year old daughter was very apprehensive about having swimming lessons, but after her first lesson she could not stop grinning as she got out of the pool. The teachers made her immediately feel safe and have given her confidence .She can’t wait until her next lesson each week. She refuses to go to any other out of school activity but has really taken to this and especially likes the small groups. Having a teacher in the water has led to my son making rapid progress; the teacher pays close attention to his technique and ensures that he is consolidating his skills and building on them each lesson. No two lessons are the same and the teacher works hard to make lessons fun and engaging. My son really appreciates the encouragement and challenge provided by Laura and and as parents, we really value the written feedback given about his progress. 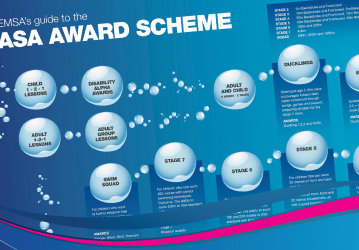 As a pensioner I thought I would be too old to swim, I plucked up courage to join the girls at EMSA, I am now in the deep end, doing front crawl, underwater swimming,floating and many other things I didn’t think was possible ( I wish I had been to EMSA much earlier ) Keep up the good work. I am an adult leaning to swim with EMSA can’t praise them enough, all the teachers treat you with respect and encourage you. I hadn’t been in a pool for 40 years, the teachers gave me the help and confidence to lean to swim, thanks to Beth and Liz for their help. My son has gone from not getting in the pool to swimming competently in less than a year.